First Things First: What is Pay-Per-Click (PPC) Marketing? Pay-Per-Click, also known as PPC marketing, is one of the most effective forms of Internet advertising available. The goal of a PPC campaign is to improve your website's reputation by bolstering visibility and relevance to online viewers. PPC campaigns help get the RIGHT people to your website – those who are searching for your specific product or service. When the right people hit your website, they interact with it in a way that will boost your reputation in the eyes of major search engines. PPC campaigns are tracked so you know exactly which pages of your site - and which links leading into your site - are the most effective. Then, you can utilize them for even greater results. Pay-Per-Click campaigns can be an extremely cost-effective marketing tactic. However, your campaign must be managed correctly in order to see the right results. The team managing your campaign needs a true understanding of the ins and outs of PPC advertising. Without this knowledge, you will end up paying for clicks into your website by individuals with no interest in your product or service, which can quickly drain your PPC budget. That's where we come in. We make sure your PPC campaign reaches the RIGHT people. 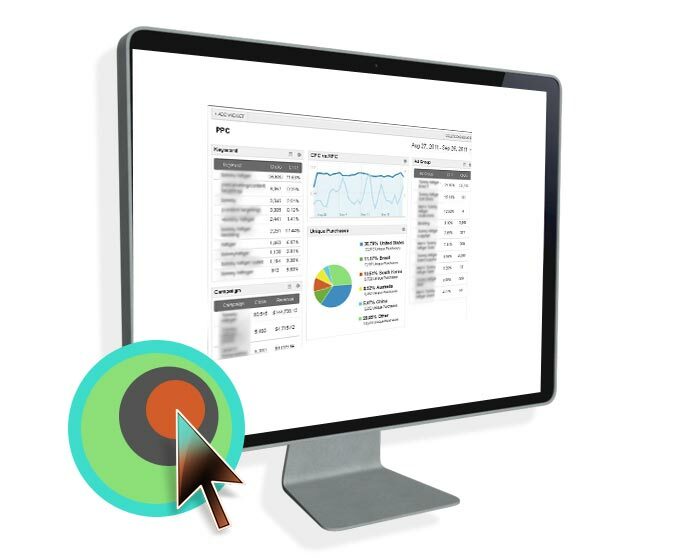 Through a partnership with a leader in PPC methodology, GD Design Studio will give you access to all facets of your PPC campaign via a secure Admin panel. You can track the progress of your PPC campaign and submit messages, questions or requests directly to us. The importance of different aspects of a successful PPC campaign range from business to business. By evaluating your specific website and business goals, we will determine the PPC campaign strategy that will provide the greatest results for you. Getting people to click on your ads means very little if conversion rates are not taken into account. We will help you track the number of viewers who click and visit your site, as well as those who actually become customers. This helps determine the most effective ads/keywords in your campaign, information that will be used to improve the results of your PPC campaign in the future. Compiling the most effective list of keywords is a vital step with a big impact on powerful PPC marketing. GD Design Studio will create an optimized keyword list based on research into your industry and competition, and will put these keywords to use via optimized copywriting and landing page campaigns. After a viewer hits your ad or website, you have a window of only a few seconds to grab their attention and get them wanting more. We'll write your ad copy to ensure that the content sparks their interest and brings them to your door. After we have set up your high quality scoring PPC advertisements, you will be able to view which of those ads is giving you the best results (known as a "Click-Through-Rate," or CTR). This information will be used to further improve your PPC campaign into the future. We specialize in the development of scalable solutions for managing and tracking the unique Return on Investment (ROI) of each of your PPC advertisements. This gives us the opportunity to fine-tune your campaign as necessary and ensure that your PPC budget is used as effectively as possible. In order to bring transparency to your campaign, we will send you analytics reports that highlight your campaign progress and track your customers. These reports will allow you to see exactly how your marketing efforts are paying off. Ready to build your website's reputation?